The Making of Low Carbon Economies looks at how more than two decades of sustained effort at climate change mitigation has resulted in a variety of new practices, rules and ways of doing things: a period of active construction of low carbon economies. From outer space observations of the carbon in tropical forests, to carbon financial reporting, and insulating solid masonry walls, these diverse things, activities and objects are integral to how climate change has been brought into being as a problem. The book takes a fresh look at society’s response to climate change by examining a diverse array of empirical sites where climate change is being made real through its incorporation into everyday lives – a process of stitching climate concerns into the discourse and practices of already existing economies, as well as creating new economies. 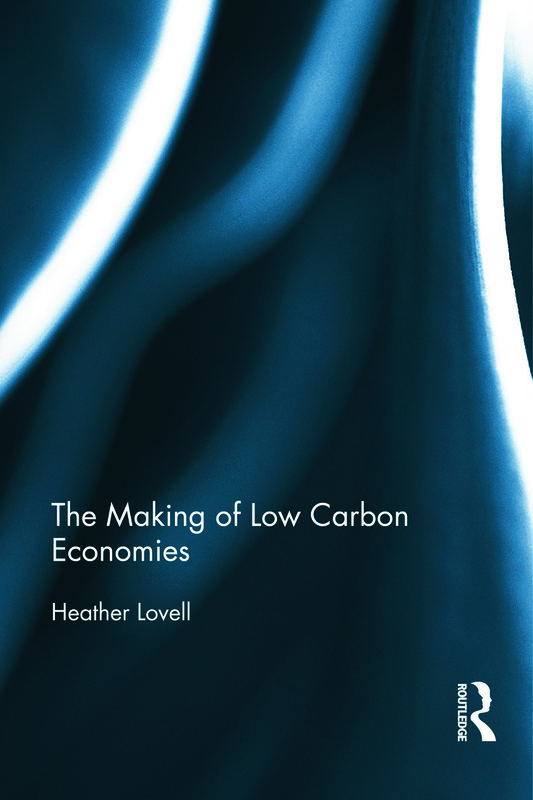 The Making of Low Carbon Economies adds fresh insights to economic sociology and science and technology studies scholarship on the multiple origins and heterogeneous operation of markets, demonstrating the constraints and opportunities of an economic framing of the problem of climate change. It covers the obvious (and now well-researched) topic of carbon markets, as well as new more unusual material on the low carbon reframing of already existing markets and economies.